Moved to Vancouver on July 1st, finally I got some spare time to update my blog. I went traveling to many different places with my family for half of month when I move out from Winnipeg. I took thousands pictures during the trip but still don’t have much time to arranged them. 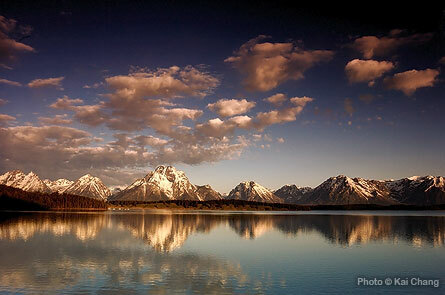 Here is a beautiful scene of sunrise in Grand Teton National Park, which I was so impressive.